It all starts with people. I wanted to find a way to give back small amounts of money in order to make a meaningful difference in their lives. It all starts with people. I wanted to find a way to give small amounts of money in order to make a meaningful difference in their lives. Growing up in my home state of Oklahoma, I saw friends and family constantly struggle with money – trying to cover their monthly expenses but always seeming to run out of funds before the end of the month. 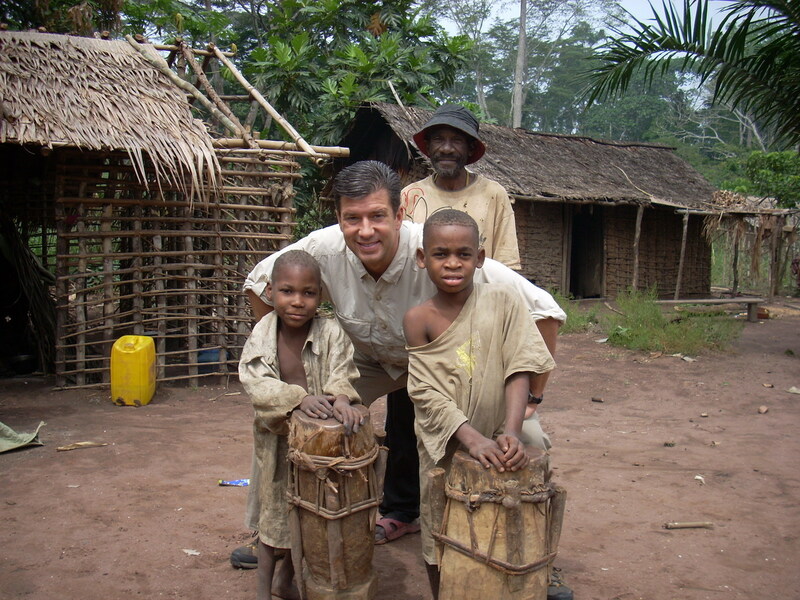 Later in life, that desire was amplified when I traveled to the Central African Republic to dig water wells in a Pygmy village where the average life expectancy is 49 years. Even in the midst of these serious conditions, I saw what could only be described as pure happiness and gratitude from the local village. Their genuine perspective changed my outlook on life. Through these experiences a seed was planted that led me to dedicate the rest of my life to helping others. I set about finding a way to positively impact people’s financial lives. In that pursuit, by 2011 I saw that over 100M Americans were struggling to make ends meet while over $100B of advertising budgets was being wasted by brands and merchants. Those converging trends helped me ideate a potential technology architecture that could potentially repurpose those wasted ad dollars and direct them back to consumers. That was the beginning of Dosh. In late 2012, I brought my thoughts to Ed Mock who was the executive responsible for innovation at First Data, the largest transaction processor in the US. Ed was a veteran in the payments space and an engineer by background that had built and sold three companies to Amazon, Sprint and First Data. His initial reaction was that the idea was viable but it technically couldn’t be done. However, any problem related to technology could be solved in time so we were challenged with building the solution. Ed spent the next few years in R&D. First, technology had to change, then information had to change, and finally the marketplace had to change. The scope of the challenge was enormous and daunting. Our team had to figure out a way to integrate our solution at the point of sale, something no one had done before. By the time we officially launched the first version of the Dosh app in 2017, the team had grown to include a fleet of engineers and problem solvers who figured out how to bring together the major credit card companies and build a platform that allowed for real-time cash back for anyone using our mobile app. That meant that as soon as anyone swiped their card, our technology acknowledged the transaction, and then deposited their earned cash back right into their wallet automatically. Every day our team feels inspired to work when we see how much cash back, down to every penny, we’ve been able to put back into the pockets of consumers. And we’re doing it: in 11 months since the launch of the first merchants on our platform, we have brought millions of Doshers into the community and we’ve put over $34M in cash back directly into their wallets. People are sharing with us all the time how they’ve used the extra money to buy groceries, presents for their child, purchase extra diapers, or to take their family on vacation. But it’s not just consumers who are benefitting from this. Merchants have been struggling for years as their ROIs are decreasing with traditional advertising and transparent attribution still hasn’t been realized by marketers. With so many different channels to reach consumers most people have started ignoring ads. Brands want to find better ways to connect with consumers while TV, radio, print, and web has become saturated and ineffective. Furthermore, e-commerce has left brick and mortar merchants struggling to modernize their shopping experience. Dosh works to improve both online and offline experiences for consumers by paying them automatically for their loyalty. And according to 83% of Americans, cash back ranks highest in terms of feeling rewarded by merchants. It’s a simple yet powerful concept. Enable merchants to make their customers feel rewarded and enable consumers to earn a little extra money everyday for living their lives. This is what Dosh is about. We want businesses to flourish and people to flourish. They are the heart and soul of everything we do and the reason that our team, myself included, comes to work every day. Our mission is to move billions of dollars to millions of people and we’ve only just begun in our pursuit. Sign up to receive our newsletter and exclusive resources. How consumers interpret advertisements, new product launches, or brand presence at events is crucial. Marketers of all levels are continuously working to leave a lasting positive impression. Even most ad platforms offer sentiment analysis, but is it truly accurate? And, how do you know that an impression from an ad has carried all the way over to the in-store experience? At best, it’s an educated guess. What do you do when the platform where you’ve committed your digital ad spend budget becomes compromised? Innovate. Loyalty programs have evolved to personalized card-linked cash back offers that are driving more in-store sales. This is the future of card-linked cash back offers.